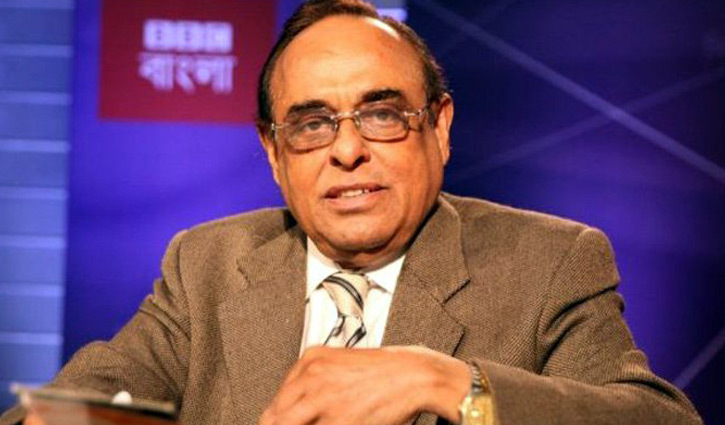 Staff Correspondent: The Supreme Court (SC) has upheld bail for former caretaker government adviser Barrister Mainul Hossein in 14 defamation cases filed against him in different districts. Justice Nuruzzaman Nani, Chamber judge of the Appellate Division of the Supreme Court passed the order on Wednesday. The court came up with the order following an appeal petition seeking stay order against the bail granted by the High Court (HC) to Barrister Mainul. With the order, there is no bar for Barrister Mainul to get release from jail in the defamation cases filed in Sherpur, Kurigram, Bhola, Jhenidah, Rajbari, Brahmanbaria, Kishoreganj, Cox’s Bazar, Magura, Narail, Chattogram, Jashore and Netrokona, according to lawyers.